Photocatalytic solar hydrogen production—or water splitting—offers an abundant clean energy source, but only if the energy in sunlight can be harvested effectively. Inorganic materials are better known as water splitting catalysts, but organic catalysts can also be built from cheap abundant elements, such as carbon, nitrogen, and sulphur. The Liverpool-led team used a combination of experiment and computation to discover a highly active organic photocatalyst. This also revealed some basic design principles, which may guide even better catalysts in the future. Mr Wang’s PhD project is co-funded by the China Scholarship Council (CSC) and the University of Liverpool, through a joint PhD programme that started in March 2016. 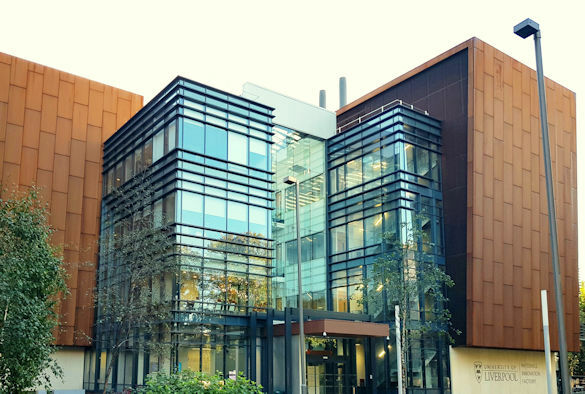 This programme attracts talented PhD candidates from China to carry out their studies in the world-leading Materials Innovation Factory at the University of Liverpool. 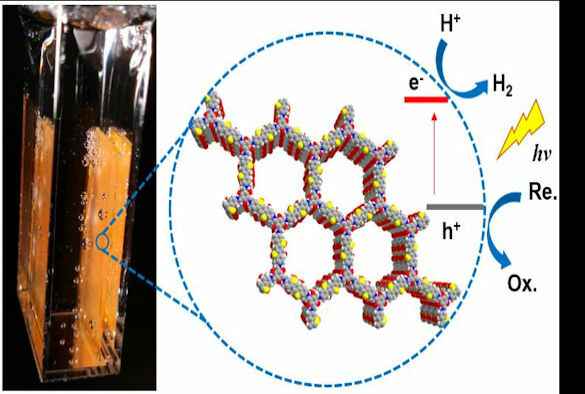 The paper `Sulfone-containing covalent organic frameworks for photocatalytic hydrogen evolution from water` (doi:10.1038/s41557-018-0141-5) is published today (1 October 2018) in Nature Chemistry. The Materials Innovation Factory is an £81 million project dedicated to the research and development of advanced materials. The 11,600 square metre facility, established in collaboration with Unilever, brings together materials chemistry expertise with the latest computational and robotic equipment to accelerate research and reduce the development time for new products to address societal needs.